Did you know each year there are over 173 million 911 calls in the US? Many of these are life threatening and some not, it is important that you are prepared for any emergency that comes your way. Technology is being applied to emergency planning now as apps are being created. These apps help both for planning and for first responders. ICE – This app does more than just inform of key people to call, it also stores important information like allergies, medications taken etc. 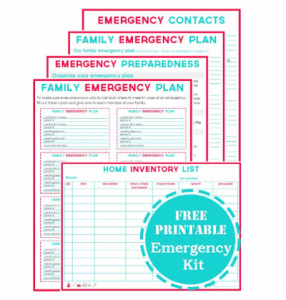 EMERGENCY PLANNER CHECKLIST – Comes prepopulated with hundreds of templates for planning including natural disasters like hurricanes and tornadoes. DISASTER READINESS – Has over 175,000 emergency prep guides for any situation that comes your way. 5 0 RADIO POLICE SCANNER LITE – If you hear of local emergency issues whether it’s in Richmond, Raleigh or anywhere in the US, this app allows you to listen in to police chatter in real time. FIRST AID & CPR – The official app of the American Red Cross prepares you for emergencies and is fully downloaded on your phone in case of no cell phone service.